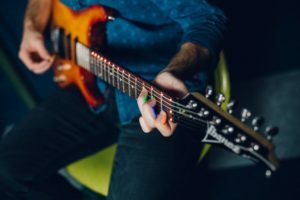 Fret Zealot is a game changer when it comes to learning how to play the guitar, said Shaun Masavage, CEO of Fret Zealot. 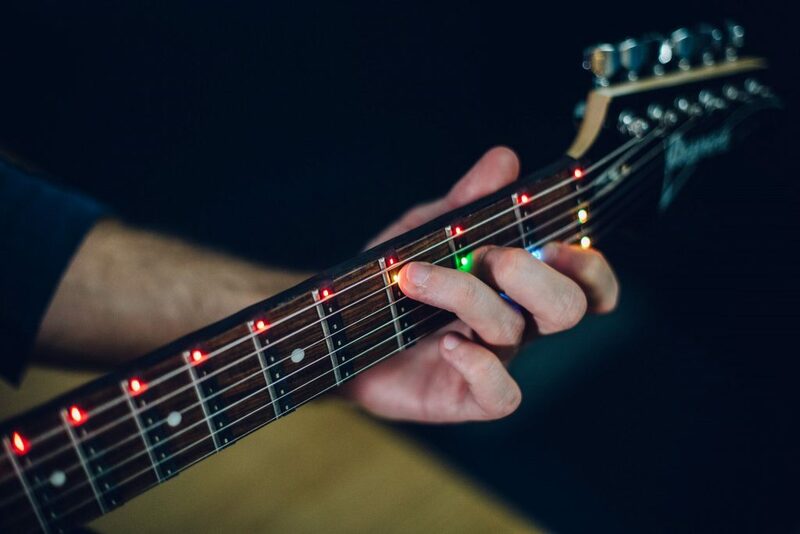 The technology is a LED light script that can be installed on any full-sized electric or acoustic guitar. 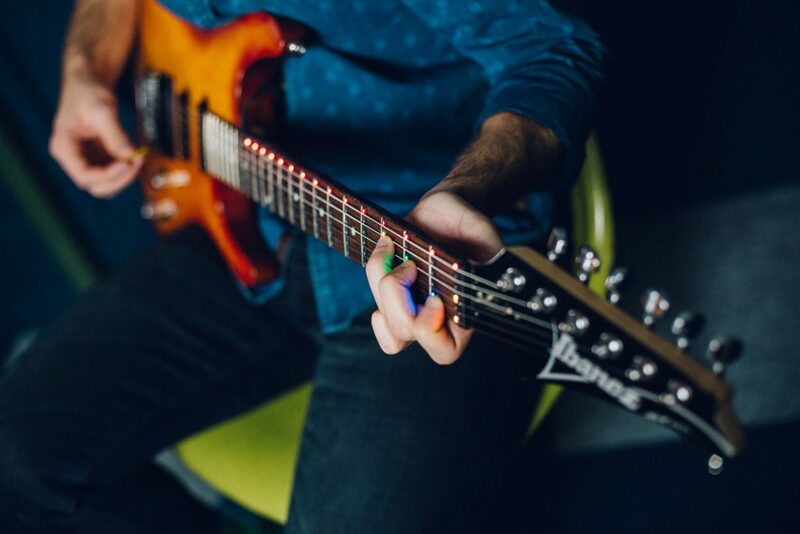 The light script is accompanied with an app that teaches people how to play different chords and songs by indicating which strings to play via the lights. The LED light script is also accompanied with a small rechargeable battery pack that can last up to 12 hours. To install the Fret Zealot, the strings must be pulled aside to place the lights on the fret board. Masavage said he was inspired to create Fret Zealot after learning how many people give up learning to play the guitar. “The statistic now is that 90 percent of people stop learning guitar, and it’s just like why? Normally it’s barriers to entry, so we designed Fret Zealot to take away all of those barriers to entry,” Masavage said. The Arlington-based startup in Crystal City has been in development for five years, and shipped its first orders of Fret Zealot in December and has sold 3,000 so far. The product has also reached a global scale, selling to more than 40 different countries. Before the technology became accessible to the public, Fret Zealot launched a Kickstarter campaign that raised nearly $250,000 within a month. Just recently the cost of the LED lights dropped making it possible to sell Fret Zealot for a more affordable price at $200. “[This] is our year,” Masavage said. The company has been in talks with major guitar manufacturers and several retailers, he said. Fret Zealot will also be expanding to different instruments. In the spring, a bass version will be released and a ukulele version will come out later in the summer. The app has a tuner and currently 100 songs for anyone to play. In a few weeks, it will be able to listen to the user, so when playing songs the app will go at the user’s pace — not showing the next note until the user has played it. Soon users will also be able to upload any song they want to the app so long as it passes the app’s quality standards. 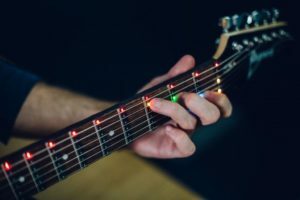 Several music teachers have reached out to the company, wanting to build their own courses using Fret Zealot, said John Tolly, chief technology officer of Fret Zealot. “[We are] not even replacing teachers, we’re adding to them. They can have students learn proper notes and chords, and then they can concentrate on helping with technique,” Masavage said. For Masavage it’s been very satisfying seeing people from beginners to retirees use Fret Zealot. “It’s very fulfilling, because you see people at all levels light up when they use the product,” he said.